Media captionProf Julian Dowdeswell: "Sea-ice conditions mean we cannot guarantee to get where we want to"
Locating the shipwreck is not the primary goal of the expedition; the major objective is to visit and study the Larsen C Ice Shelf, which last July calved one of the biggest icebergs ever recorded in Antarctica. But because Larsen is so close to the last known position of the Endurance, it makes sense to also have a go at finding the famous ship. "It would be a shame not to," said Prof Dowdeswell, the director of the Scott Polar Research Institute (SPRI) in Cambridge. "In our study of Larsen, we will be operating autonomous underwater vehicles (AUVs). But if we can get them in range of where Endurance is thought to be, we will send them under the ice to do a survey. "They are fitted with downward-looking multi-beam echosounders, which can map out on a grid the shape of the seafloor. You look at that for any signs of the ship and then focus in with cameras if you find something interesting." It is a very tough challenge. The sea-ice in the Weddell Sea is notoriously thick and uncooperative, as Shackleton found to his cost. Even today's technology struggles in the region. An expedition led by the British Antarctic Survey tried to get close to Larsen C earlier this year and was thwarted by the marine floes. Prof Dowdeswell is hoping for better luck and believes the range and capabilities of the AUVs, provided by the American company Ocean Infinity, give the expedition the best possible chance of success. 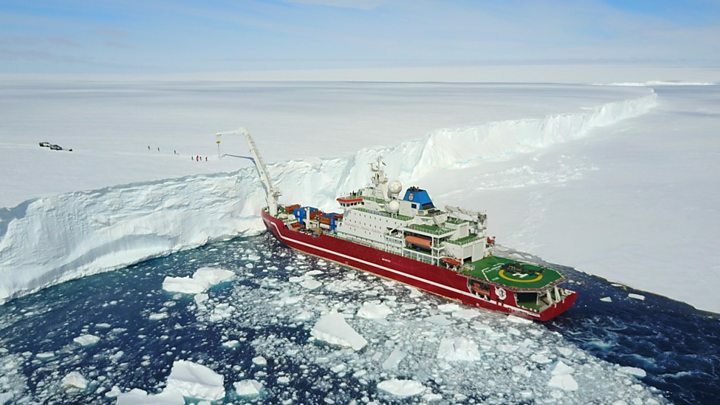 The venture is formally called the Weddell Sea Expedition 2019. It is funded by The Flotilla Foundation, a charitable trust in the Netherlands. Prof Dowdeswell's team brings together a wealth of expertise from the SPRI, the Nekton Foundation, the University of Canterbury in New Zealand, as well as the University of Cape Town and the Nelson Mandela University in Port Elizabeth, South Africa. The 45-day expedition will operate from the SA Agulhas II, a modern polar research vessel. Larsen C is one of the largest ice shelves in Antarctica. 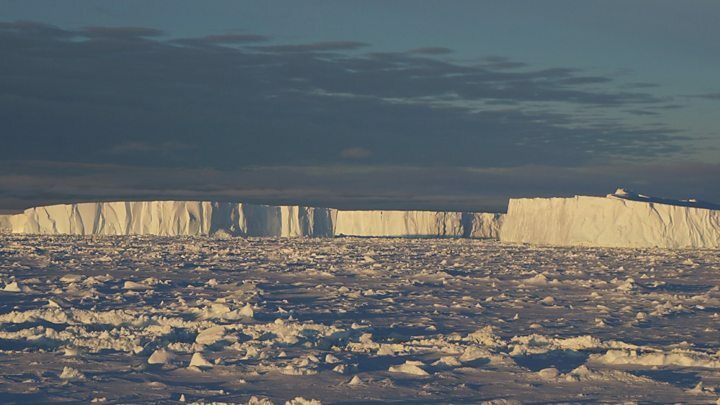 It is the floating extension of glaciers that have flowed off the eastern side of the Antarctic Peninsula and joined together to form one giant buoyant platform. Its northern neighbours, Larsen A and Larsen B, suffered catastrophic break-ups in 1995 and 2002, respectively. These failures unbound the feeding glaciers behind, allowing them to move faster and dump yet more of their ice in the ocean, raising global sea-levels. The production of a near-6,000km² berg last year now has experts wondering whether Larsen C is also being set up for a collapse. The Weddell Sea Expedition will try to answer this question by getting in close and making a series of geophysical measurements. The AUVs will be sent into the cavity under the shelf to map the seafloor and the overhanging ice canopy. Drill cores will also be taken from just in front of the shelf. The aim is to establish the past history of ice advance and retreat, to look for old grounding lines - the locations where Larsen's feeding glaciers have previously rested on the seafloor. Have these lines moved back and forward on a fairly regular basis, or have they only ever retreated and at what rate? "We want to try to put the recent changes that we've seen at the peninsula into their longer-term context," said Dr Christine Batchelor, a SPRI fellow who will be an expedition team-member. "We only have satellite observations for the last few decades. We want to see how those changes fit in when we look over much longer timescales - over hundreds and thousands of years. "Is what we've been seeing typical behaviour, or something more unusual," she told BBC News. Dr Batchelor was speaking here at the European Geosciences Union (EGU) General Assembly in Vienna, Austria. However, the Weddell Sea expedition will be formally announced in London at the Royal Geographical Society. For the SPRI to be connected with the discovery of the Endurance would be fitting. The institute is, in many ways, the keeper of records for Britain's "heroic era" of polar exploration. In its archives are documents related to Endurance skipper, Frank Worsley. It is he, with sextant and chronometer, who calculated the vessel's sinking position on 21 November 1915 as 68°39'30.0" South and 52°26'30.0" West. This is roughly 100-150 nautical miles east of Larsen C.
If sea-ice conditions are favourable, the SA Agulhas II is likely to have company on its voyage. The German research ship Polarstern also plans to visit the region of the newly calved iceberg. Its cruise will be led by the Alfred Wegener Institute in Bremerhaven.